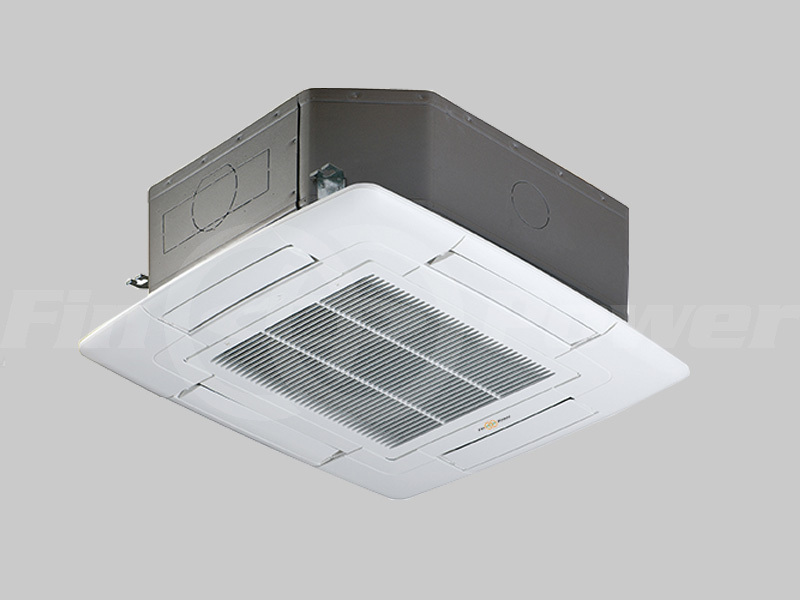 A part of the HVAC system, fan coil units are used to control the temperature of the space in which it is installed. Finpower’s AHRI Certified FCUs (available in both Ducted & Decorative types) are highly efficient and is perfect for both commercial and residential applications. 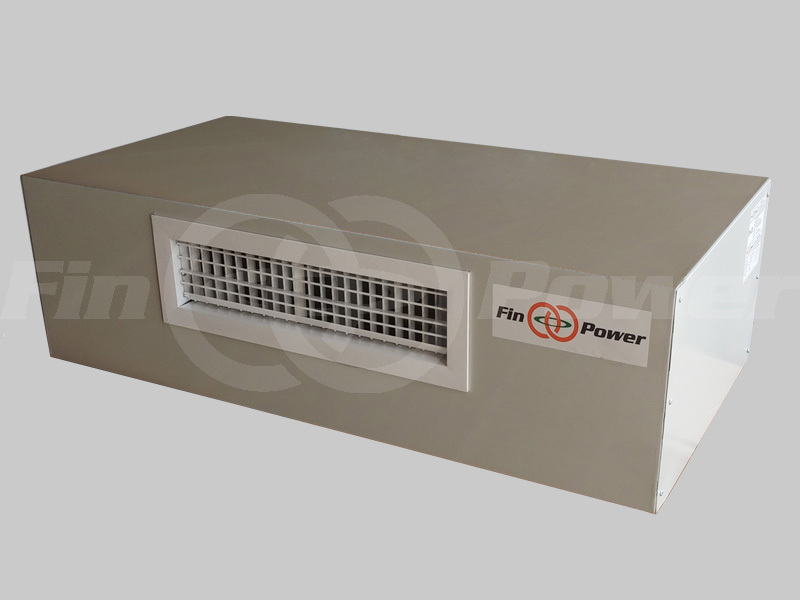 Airflow range from 400 Cfm to 3000 Cfm. ESP range from 20 Pa ~ 250 Pa. Coil number of rows from 2 to 6 rows. 2 pipe / 4 pipe system. GI casing well insulated and robust construction. Forward curved DIDW fan with statically and dynamically balanced impeller to handle high static with low noise. 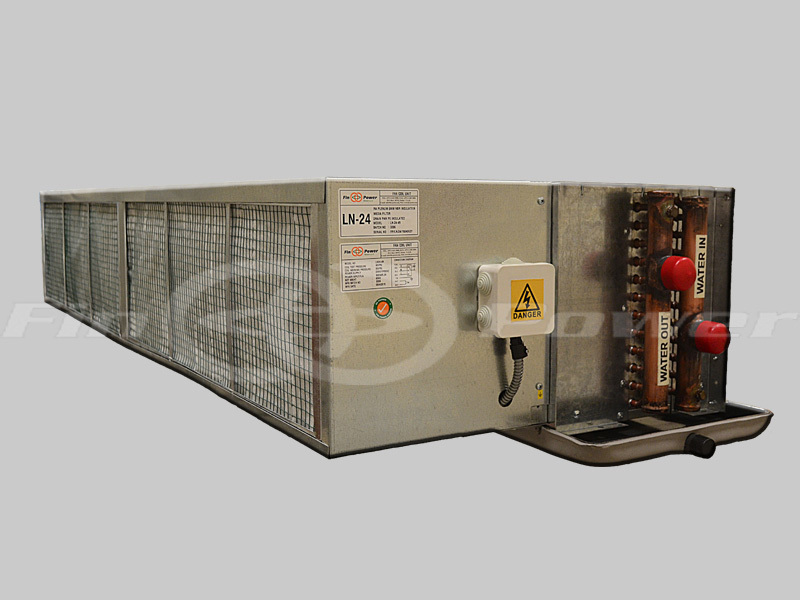 3 speed permanent split capacitor run, thermally protected motor. Maintenance free permanent lubricated ball bearing. 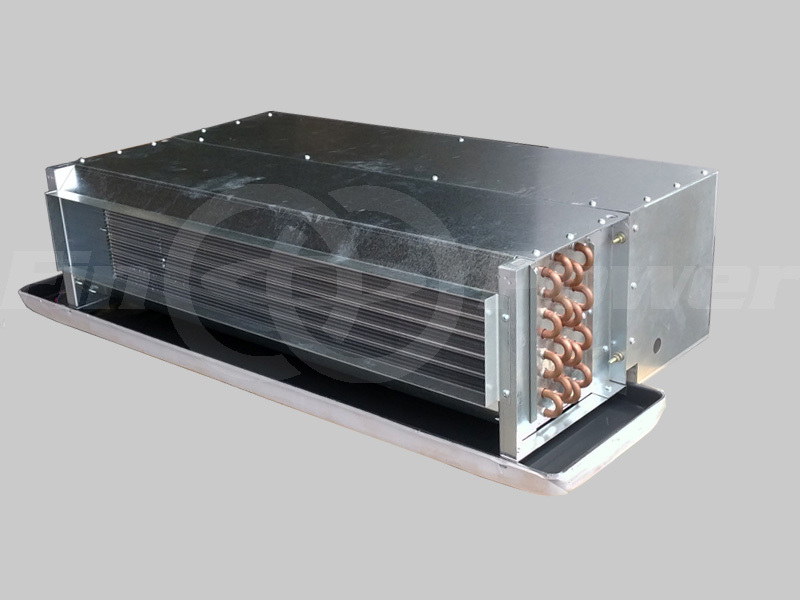 AC 220 ~ 240 volt, 50 Hz, single phase,IP 20, Class B insulated motors with anti vibration rubber mounts. All motors are wired to a junction box for easy connection. Wiring diagram is pasted beside to identify neutral. Return air plenum and filter. Access panel provided below plenum for access to motor and fan. Aluminium fins are mechanically bonded over 3/8” copper tubes for higher. Copper headers with air vent and drain plug. Die cast powder coated drain pan with foam insulation. Coarse filter with upto 65% efficiency. 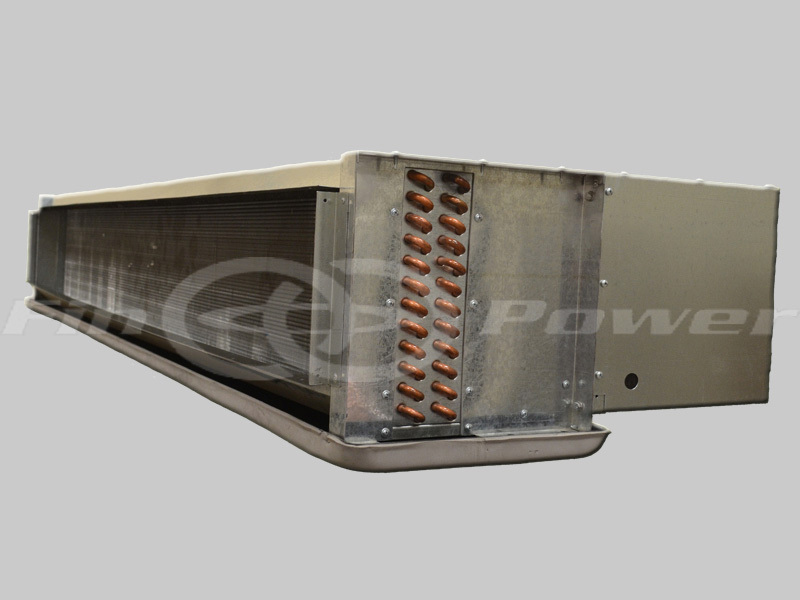 As per IAQ requirements we can provide higher grade filters for our Fan coil Unit. However performance need to be checked with us as a consequence. 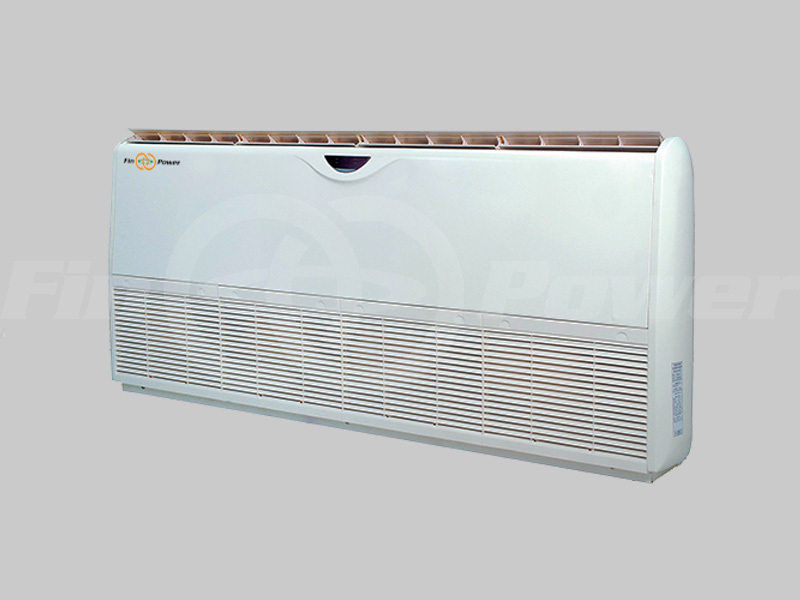 Bottom/ Side removable filters can be provided when return is ducted . 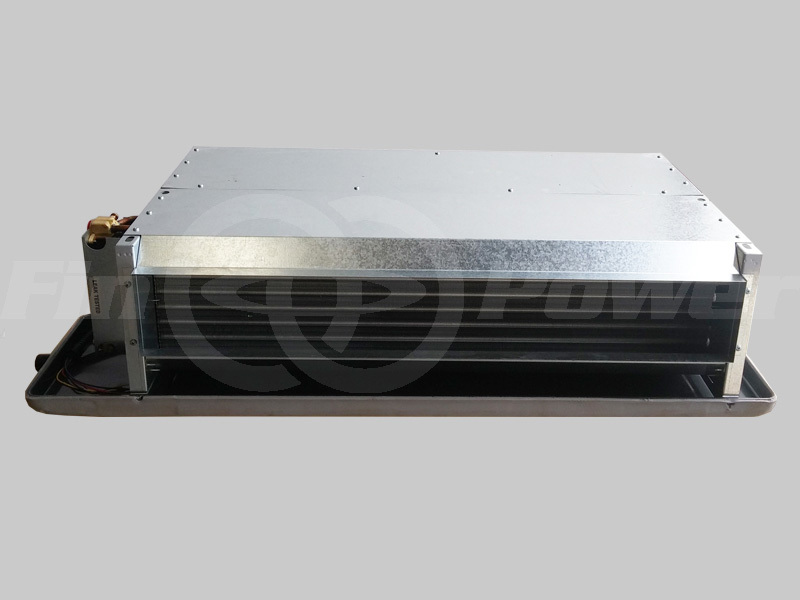 Bottom return plenum can also be provided. 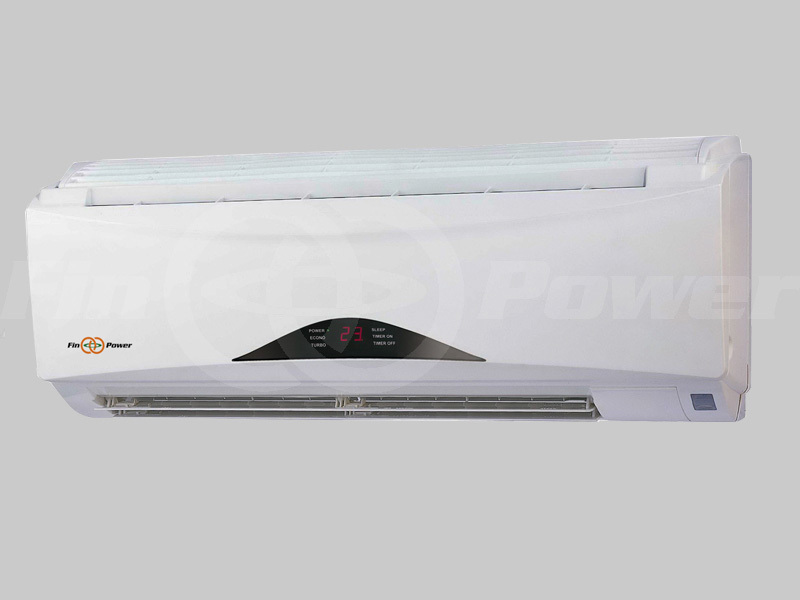 Cutouts can be provided on the plenum sides for treated fresh air entry mixing. 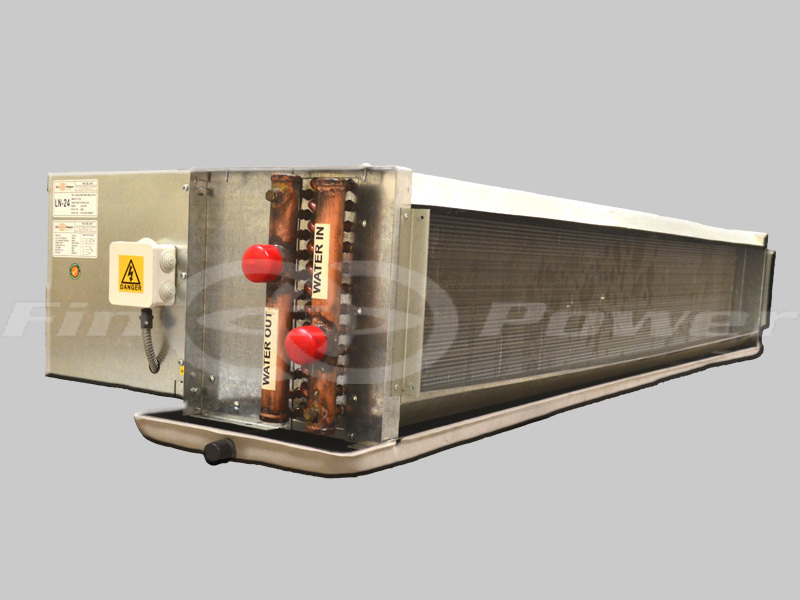 Copper fins can be provided for highly corrosive environment. Aluminium fins with coating or fins produced by using coated aluminum fin stock can be provided. Class F insulated motors and higher IP ratings available. Stainless steel drain pans with foam insulation. Extended drain pan and auxiliary drain pans. 2 way / 3 way valves with actuators.